We are thrilled to introduce you to Sisense 6.5, the new realm of smart, automated business insights from dozens of new and existing data sources. Throw in deeper analytics, an improved user experience and a ton of other tweaks, and you’ve got the most powerful and robust BI platform to date. Sisense Pulse – Detect important changes in your data with next-generation auto-notifications and alerts. 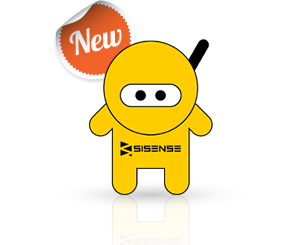 – Plus a Sneak Peek of Sisense Bots: Sisense Bot is your very own personal data assistant. Seamlessly interact with your data through messenger apps that you already use, like Slack, Skype, Facebook Messenger or Telegram. Just type a natural-language question within the chat box or choose from an existing list of pre-set questions to see the Sisense Bot in action! Learn More About Sisense Bots or Join the Beta!